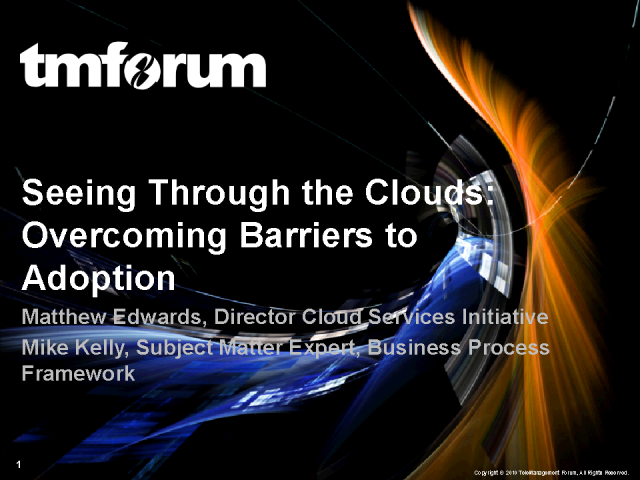 TM Forum’s Cloud Services Initiative is helping enterprise customers and cloud service providers overcome barriers to adoption and assisting the growth of a vibrant commercial marketplace. The aim is to agree common approaches on important aspects of cloud services that will reduce buyer risk and resistance. In particular, we will examine industry standards and best practices, and how they can drive end-user cloud service adoption.